Seam rippers are useful to have when correcting sewing mistakes. A seam ripper is made up of a long point, a blade which is a curved part in the middle, and a little ball that helps protect the fabric. One way to rip out stitches is to slip the long point under a stitch and cut through it. Then you can use the point to pull out the thread stitch by stitch. You can also cut through every couple of stitches, then pull apart the fabric. Or flip it over, grab the thread on the back, and pull it out. 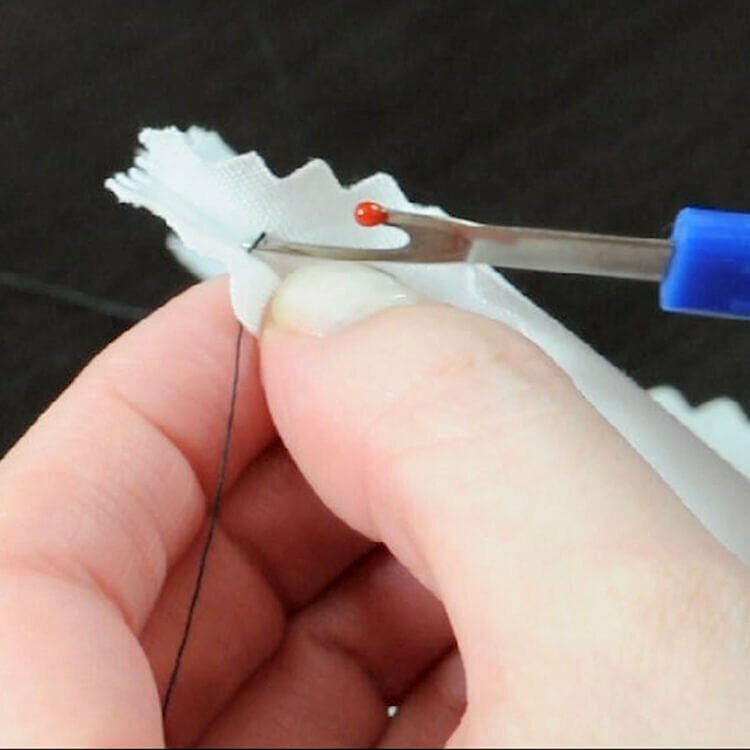 Remove any little pieces of thread left over. Another method is to rip through the middle of the seam. You can cut one stitch, pull the fabric apart a little, and then cut again. Just be careful not to snag the fabric with the point.